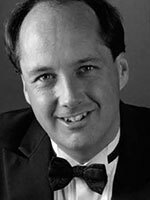 Timothy Carney is Associate Professor of Music at Chaminade University of Honolulu and Music Director of Hawaii Vocal Arts Ensemble. He began his conducting career in France, where he founded La Chorale américaine de Paris. Since then, he has conducted choruses across the United States, in New York, Tennessee, Minnesota, and Illinois, as well as in Sweden, Australia, and New Zealand. He has served as guest conductor for the Honolulu Symphony Orchestra and the Hawai‘i Chamber Orchestra, leading performances of Verdi’s Requiem, Haydn’s Creation, Brahms’ German Requiem and other choral masterworks. He has given the first Hawaii performances of many choral masterworks, including Handel’s Solomon, Schumann’s Paradise and the Peri, Herman Suter’s Le Laudi, and Arvo Pärt’s Berlin Mass. With the O‘ahu Choral Society and Honolulu Symphony, Dr. Carney prepared choruses for Robert Shaw, Robert Page, Sergiu Commisiona, and Joseph Flummerfelt. He has served as chorus master for Hawaii Opera Theatre and has been music director for musical theatre productions at Chaminade University, including Brigadoon, The Pirates of Penzance, and The Music Man. In 2009 he was invited to lecture at Cambridge University. In recognition of his services to sacred music, Dr. Carney received a Papal Knighthood from Pope John Paul II. Dr. Carney has also taught at St. Olaf College, Ripon College, the University of Illinois, and the University of Hawai‘i at Manoa. He holds degrees from Hamilton College, the University of Tennessee, and University of Illinois.